Without a doubt, Carnage ranks as one of the most dangerous figures in the entire Marvel Universe. In addition to holding the distinction of being a deranged psychopathic killer, Cletus Kasady also happens to pal around with an alien symbiote who enjoys death and destruction as much as his host. As Kasady steps into the spotlight of his own ongoing series, simply called CARNAGE, he will find himself hunted by a variety of people intent on stopping him once and for all, including John Jameson—sometimes also known as Man-Wolf—and the former Venom, Eddie Brock. Whether they stand a chance or not depends full on veteran AMAZING SPIDER-MAN writer Gerry Conway and artist Mike Perkins. The duo came together to talk about Cletus’ return to terrorizing the masses, the real focus of the book, and the joys of working on a character as deranged and dynamic as Carnage. Marvel.com: Gerry, you’re no stranger to the world of Spider-Man, but what made you want to focus on a much darker character like Carnage? 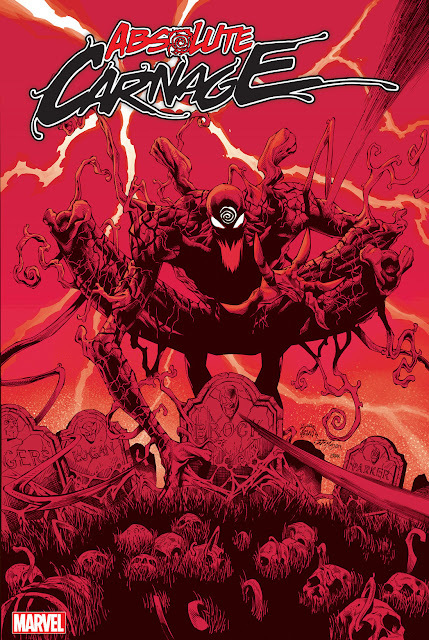 Gerry Conway: Carnage is a force of nature, a wild card—a semi-human Hurricane Katrina. He’s compelling because of the effect he has on the people who cross his path. So that makes him interesting. Plus he’s a colorful psychopath with super-powers who doesn’t see himself as a bad guy. That makes him lots of fun to write. Marvel.com: What kind of murderous exploits has Carnage been up to as the series kicks off? Marvel.com: What challenges does focusing on a villain as the lead character offer, especially one as psychotic as Carnage? Gerry Conway: Carnage isn’t the protagonist of our series, though he is the lead; he’s the catalyst for the action, which we see through the eyes of a group of highly competent and well-motivated individuals who come together in an attempt to capture Carnage once and for all: FBI Special Agent in Charge Claire Dixon; Colonel John Jameson, J. Jonah Jameson's son, who's had his own special experience dealing with monsters, on detached duty from the Air Force; former Army Specialist Manuela “Manny” Calderon, a security expert with a unique perspective on Cletus Kasady derived from past experience; and Eddie Brock, current possessor of the Toxin symbiote, the man most directly responsible for Carnage’s existence. Marvel.com: As you mentioned, Jameson and Brock both have experience with monsters including Carnage. What drives them both on this mission? Gerry Conway: Internal and external demons, some known and some unknown. 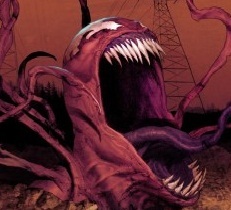 Marvel.com: Mike, were you able to put your own design spin on Carnage, Jameson, Toxin, and the rest of the cast? Mike Perkins: Indeed. That’s one of the distinct pleasures of re-introducing these characters in an ongoing series and they’ll keep evolving, too. Ever moving forwards—at a somewhat breakneck pace! Marvel.com: From an artistic standpoint, symbiotes are ever-changing. Does that make them more or less difficult to compose each time? Mike Perkins: It makes it fresh and fun. There’s a 2000 AD artist called Massimo Bellardinelli and he always drew the most detailed, weird imaginings; the stuff of nightmares but with a distinguished beauty and a love for the intricacies of line. That kind of flow, that experience of being free with the line work and yet measured at the same time is a huge influence on how I’m approaching the symbiote tendrils and textures. Marvel.com: How has it been for the two of you working to build this book together? Gerry Conway: In a word: awesome. Mike’s art keeps raising the bar for me as a writer. It’s rare to work with someone who more than realizes on the page what you imagine in your mind—and then pushes past that. It gives you the confidence to go farther and bigger and deeper emotionally. Mike Perkins: This is a fantastic opportunity to work with one of the finest creative minds ever found in the comics industry—it’s been excellent! Gerry always gives solid feedback throughout the process and it’s a joy to work with him. It’s always exciting to build a book from the ground up as you’re fully involved with the look and feel of not only the characters but the world in general. Are you ready for October? !